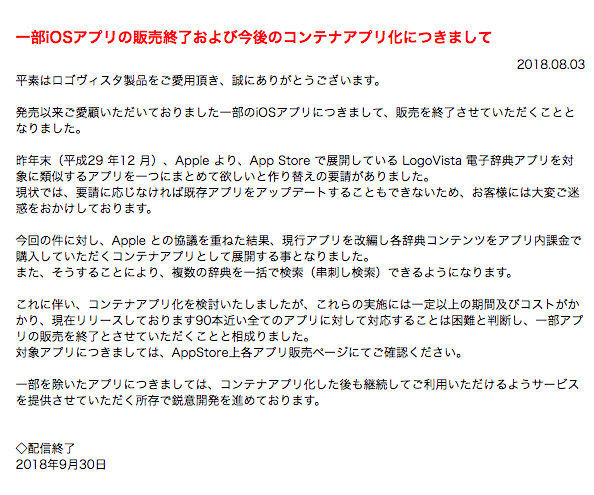 Logo Vista who sells many dictionary apps in Japan announced the company will integrate all the apps which they were selling separately and move into contens store style by request of Apple. According to their explanation, this was proposed from Apple in December 2017 and unless they agree to this proposal, they couldn't update existing apps. As a result of discussing with Apple, we have explained that we revised the current application and develop it as contents application where each dictionary contents is purchased by paying in the application. 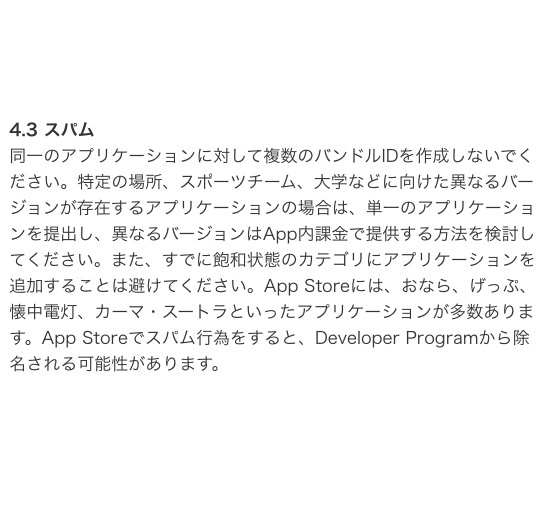 From a series of announcement, Apple has requested a developer who sells many dictionary applications to improve it since it is "4.3 spam" listed in guideline of Apple store review. A new idea of Apple that several similar applications are not set on the screen of home is included.